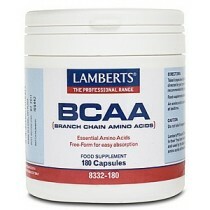 It could be said that amino acids are the “staff of life”. They include nutritional supplements our body requires every day to stay healthy and functioning normally both mentally and physically. Our daily diet cannot always contain all of the vital ingredients our body needs for optimum health every day so we add supplemental amino acids, vitamins, minerals, and other ingredients to assure we get the proper nutrition in our daily diet. The addition of amino acid supplements to our regular daily fare insures we obtain a balanced diet sufficient to keep us healthy. A useful amino acid often found in tea plants, Theanine has shown an ability to reduce mental as well as physical stress while promoting a relaxed feeling without drowsiness. Some beverage makers sell drinks which contain theanine, and market those drinks as useful for aiding people concentrate and focus, or claim they have the ability to relax and almost tranquilize the user. 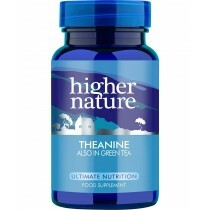 Theanine does assist in the promotion of alpha waves as well as increase levels of dopamine in the brain. Another vital amino acid is Arginine, another nonessential amino acid regularly manufactured by and occurring in the human body. This means it does not necessarily need to be added in our daily diet. 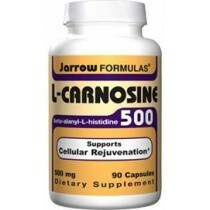 However our system benefits directly from additional Arginine supplements. When an individual is in poor condition and requires better nutrition through their diet, the addition of certain amino acid supplements, including Arginine will prove beneficial to that person’s health and overall condition. Animal sources of Arginine include dairy products such as cheese, cottage cheese, milk, yogurt, and whey protein drinks. Additional animal sources are poultry, pork, beef, wild game such as quail and pheasant, also seafood including lobster, halibut, shrimp, snails, tuna, and salmon. Some vegetable sources for Arginine consist of wheat germ, buckwheat, flour, granola, oatmeal, nuts such as coconut, pecans, cashews, almonds, and walnuts, peanuts, hazelnuts, Brazil nuts, and seeds from plants such as sesame, pumpkin, and the sunflower. The amino acid known as Arginine is vital in the healing of wounds, cell division, immune function, removal of ammonia from our body, and release of certain hormones. When combined with vohimbine and proanthocyanidins, arginine can be used successfully in erectile dysfunction treatments. Lysine is another of the amino acids that are not synthesized by animals (including humans). It needs to be ingested as lysine containing proteins or as lysine itself. Plants as well as bacteria manufacture it from aspartic acid (aspartate). Lysine may well be of benefit to those suffering from herpes simplex related infections. Lysine conjugates have shown promise as a treatment for cancer, causing some cancerous cells to actually destroy themselves when combined with phototherapy. They then seem to leave the non cancerous cells unaffected. Biosynthesized in the liver and kidneys of animals, carnitine is considered to be an essential amino acid known for its antioxidant activities, providing protective effects against oxidative stress at the myocardial cell level. Some additional amino acid supplements which are vital to life are Cystine and methionine, which are each a dimeric amino acid that is made by oxidation of two cysteine acids, bonding with hydrogen and hydrophobics that are at least partially responsible for formation of a gluten in bread. Human hair has about five percent cystine in it’s makeup. And an additional essential amino acid is found in glutamine which is effective in reducing healing time prior to operations. 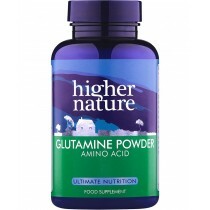 Each of these vital amino acids have been proven through clinical testing to be effective and beneficial in many arenas of human medicine and general health related issues.